They are back!! 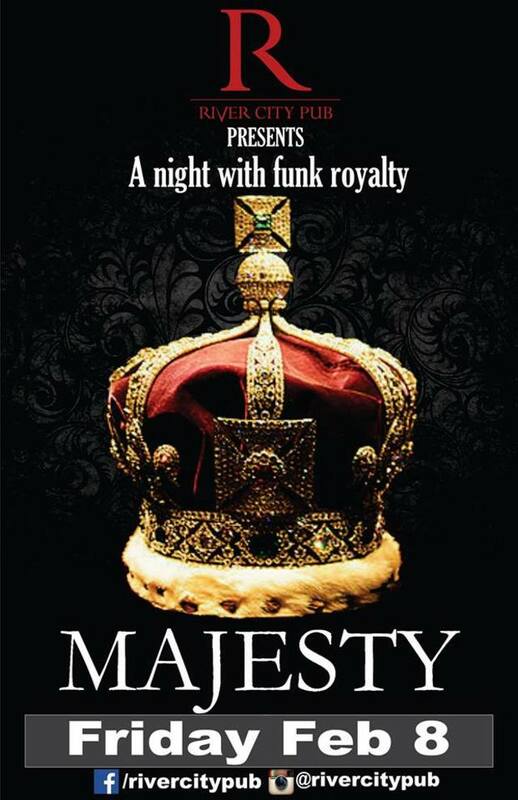 Revelstoke's favourite funk band Majesty plays their last show of the season this Friday, February 8th at the Regent. This is NO CHARGE event. Those that saw the last show know its an awesome dance party. Those that have never seen a Majesty show will be pleasantly surprised to see 8 grown men armed with trombones and saxes dressed in traditional King Arthur attire. The idea is that you can wear whatever clothes you want, get funky!! This is old school funk beats played by real life musicians. No Djay in site!! (except of course for Wayno on the breaks) Come on out, the band starts around 10. Prizes for the funkiest garbs!! For more info visit: https://www.facebook.com/majestyfunkband/ See ya there!